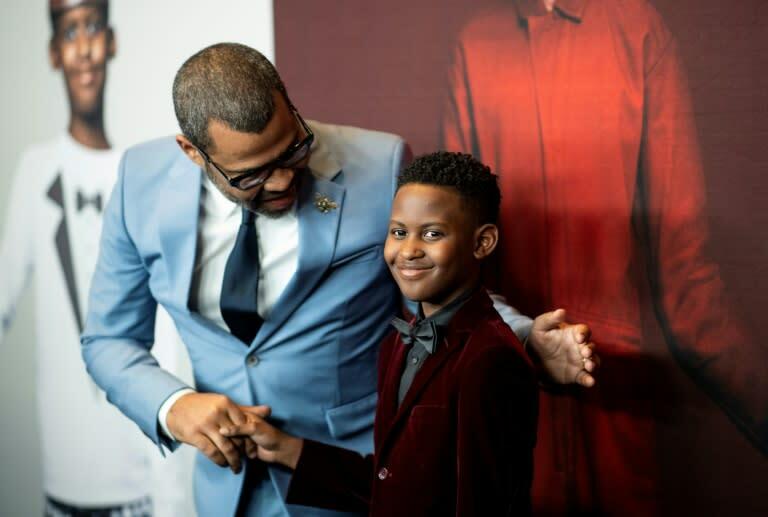 Jordan Peele's new thriller, "Us," blasted its way to the top of the North American box office over the weekend with $71.1 million in ticket sales, industry watcher Exhibitor Relations said on Monday. The opening marked one of the best launches ever for a horror film and cemented Peele's draw as one of Hollywood's top filmmakers following his Oscar-winning film debut "Get Out." The Universal production, which stars Lupita Nyong'o, Winston Duke and Elisabeth Moss in the story of a family that encounters horrifying versions of themselves, had the second-best launch of the year, trailing only blockbuster "Captain Marvel," Exhibitor Relations said. Peele impressed Hollywood with his first production, "Get Out," another horror film with heavy social commentary that won an Oscar as Best Original Screenplay and was the 10th most profitable film of 2017. The new film has a 94 percent rating on Rotten Tomatoes, rare praise for a horror flick. "Us" pushed Disney's "Captain Marvel" down to second place, at $34.3 million for the weekend, but that female-led blockbuster had little to complain about. With Brie Larson starring as a former fighter pilot with superpowers, the film has taken in a combined $910 million at home and abroad. In third spot was Paramount's animation "Wonder Park," at $8.8 million. The film, about an amusement park based on a young girl's imaginings, is voiced by Brianna Denski, Jennifer Garner, Matthew Broderick and John Oliver. Fourth spot went to CBS/Lionsgate's teen drama "Five Feet Apart," at $8.5 million. It stars Haley Lu Richardson and Cole Sprouse as teens who fall in love but must keep their distance while being treated for cystic fibrosis. And in fifth was "How to Train Your Dragon: The Hidden World," at $6.5 million. It tells the story of young Hiccup and his dragon Toothless on a quest for a dragon utopia. Jay Baruchel, America Ferrera and Cate Blanchett provide the voices.